For over fifteen years, I have dedicated my efforts to supply my clients with high quality custom made furniture, cabinetry and accessories. I design every piece following the client's needs, I suggest materials, colors, dimensions, etc. My catalog includes all sorts of cabinetry: kitchen cabinets , media cabinets, built-ins, bookshelves, walk in closets; and furniture: dining tables, benches, office furniture, and accessories to help you furnish your space. Your ideas and needs are key to the developing of your piece. Modern, classical, industrial, farmhouse, I'll make it for you. Using mostly solid wood and high quality plywood , your pieces will last a lifetime. A full service Design-Build firm consisting of husband and wife team Travis and Emily Crouch. Emily being the Interior Designer, with her husband Travis being the general contractor. From medium size remodels to large new-builds, we've got you covered. Borrelli Design+Cabinetry is a multidimensional interior design firm specializing in custom design and installation of kitchen, bath, home theater, and other projects for home and office. With more than 30 years of experience serving clients throughout the United States, the Borrelli Design team of interior designers, on-site cabinetmakers, and installers, in conjunction with the Borrelli team of craftspeople, work with clients from the concept phase to completion of each project. We are an exclusive dealer for: Miele, Bluestar, Jenn-Air, and Crystal Cabinetry. Save Up To 40% On Cabinetry & More! 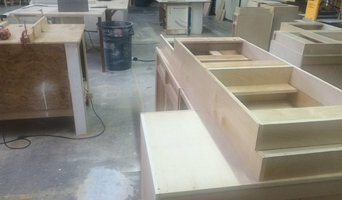 We specialize in custom fabrication of high-end kitchen cabinets and countertops. We fabricate our kitchens from scratch. We manufacture our own cabinet doors as well. Our MISSION is to destroy moldy kitchens and replace them with superior designed real wood cabinets. Family owned business since 1974. Established in 1997. PCD Remodeling has been in the construction home remodeling and home repair business for the last 20 years. Our construction company motto is customer satisfaction from start to end. Our customers are happy and we are trying to keep it this way all the time. Try us and we will be happy to make you happy. 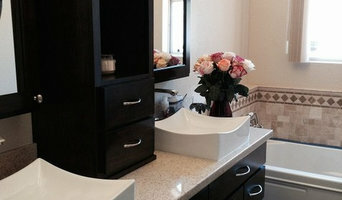 San Diego's Go-To Cabinetry Specialist- 25 Years of Experience! With a background in architecture, interior design, and cabinet building, we minimize the problems that are typically associated with the coordination and communication between the associated trades. This industry knowledge and experience defines the philosophy behind every Inplace project. We strive to create exceptional custom work and make each project a unique reflection of your personal style. Imperial Custom Cabinets has been building custom kitchen cabinets, custom bathroom cabinets, and custom wall units for all of San Diego County since 1971. We're proud to say that though many years have past, we've still made our name and reputation on the same simple principals. Honesty, Integrity and Team Work have long been our calling card. We've earned the satisfaction of our partners for our dependability and exceptional performance. We know that choosing to align yourself with a contractor is a big step. That's why we want to thank you for considering ICC, where we build cabinets but our business was built on customer service! With local craftsmanship, innumerable options and custom sizing to maximize storage space, custom cabinets are a better buy than the pre-fabricated options at the big box stores. Our customer satisfaction speaks to our strong business ethics and quality control. You can find some of our kitchens in San Diego Home and Garden, Tour D’Elegance as well as being award winners for some of our customers. Give us a call today! Our Motto at Design Moe Kitchen & Bath is "We Love What We Do" for us, to be able to come to work in an environment that we love makes each day a gift. We are a small, family-owned, specialty design business. We bring our clients through the design & construction process on an individual basis, to develop a unique design and complete material specifications unique to our clients. We provide access to high-quality cabinets, interesting tile, and high-end, high-style counter-tops, and we bring our clients together with project-appropriate, friendly, tested contractors. DESIGN We work with you to discover & develop your vision for the project, from remodeling your kitchen, bathroom, library, or craft room to designing a new home or vacation home. PRODUCTS We provide the high-quality, hard-to-find products that you need to make your project match your vision. Custom cabinetry, design glass, stone countertops with under-lighting, specialty faucets and appliances: we're practiced in finding and providing unusual and surprising products with sometimes challenging installation requirements. CONSTRUCTION We bring in contractors with proven track records who fit with your project and personality. We work with them to make sure that you are delighted with your finished project. At ALTOWOOD we custom build high end quality cabinetry that you can be proud of and enjoy in your home or office for years to come. Our first and foremost goal is to custom build each and every kitchen, bath, entertainment, closet cabinet or custom furniture piece with the unsurpassed superior quality. Our customers must be 100% satisfied with our workmanship. 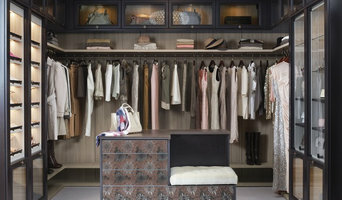 I bring my love of mixing colors, textures, and unexpected details based on the clients desires. I believe the best tool I have as an interior designer is my ability to listen. We will manage and monitor your project through every stage from initial proposal to revealing your finished project. I am most proud of the long-term relationships I've developed with my clients over the last eight years. They know me for my attention to detail and my creative approach.